Our private investigation FAQ includes many of the questions that we receive day to day on this website. 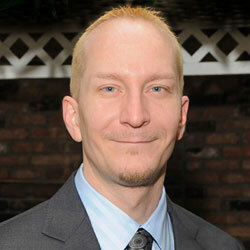 There are so many frequently asked questions regarding all facets of the detective professions. We set up this page to answer these inquiries and help anyone to increase their knowledge of the investigation business. If you do not find the answer to your own question here, feel free to use the search function in the right column to locate any topic on this website. If you are really stuck, you can always write to us for help. We try to answer every inquiry that has merit. A: Yes, in most cases, entry level investigation work does not require a formal college degree. Of course, a degree is always helpful, particularly if it is in law, criminal justice, language or computer sciences. A: The private investigator training resource section details many of the possible choices in training courses. Some positions require formal training and/or experience, while others will teach you the skills you need to know on the job. Just remember, the more skills you can bring to the table, the better your job prospects will become. A: We have already detailed a private investigator salary and answered the question how much do investigators earn on their respective pages. Of course, geographic location, job description and personal qualifications can increase or decrease earnings potential drastically. 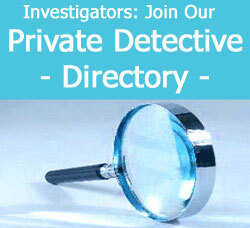 A: I suggest reading our page titled private investigator license. Not all geographic areas regulate the investigation trade, but most do. When in doubt, contact your local Department of State for specific licensure requirements for the various detective professions. A: No, we never offer investigation services to the general public. A: We always advise interviewing several candidates before making a decision. It is always best to find a specialist in your particular type of case, rather than hiring a general investigator. A: Local, national and international private investigation associations all provide referrals.We advise contacting one of the organizations to help match you to a great local service provider near you. 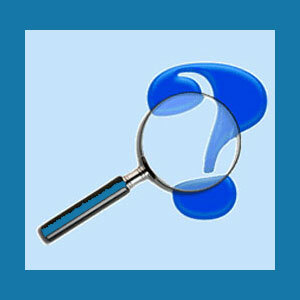 A: Investigation services are usually expensive. Every detective has their own method of billing. Make sure you understand the costs of everything in advance and sign a contract detailing the services to be provided and the expected fees. If you are not sure about the contract, have your lawyer look at it in advance of signing anything. We hope this FAQ section has answered some of your questions about the detective business. If not, we recommend that you use the site search to find any topic which may interest you. Often, this will guide you to the answer you have been searching for all along. If not, then please feel free to write to us for a personal reply. We remind you again that we do not accept case assignments from clients online, but will be happy to answer any reasonable questions, which are not covered on the site, free of charge.